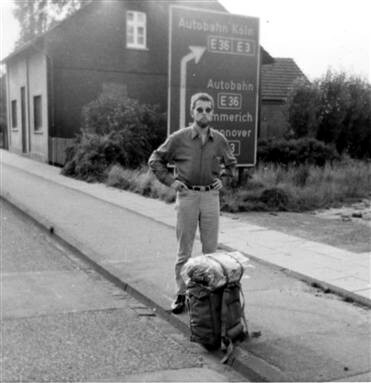 Germany was a hitchhiker's paradise at the time (1967). 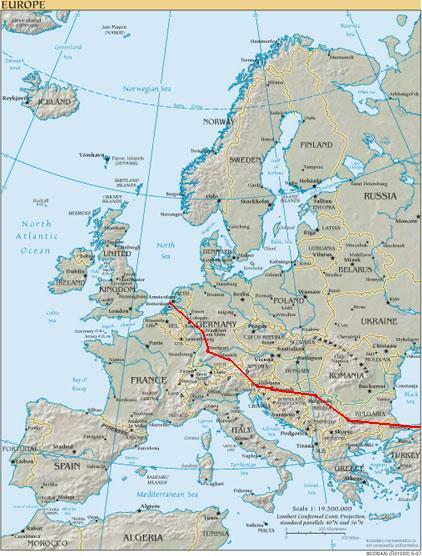 So, I hitchhiked from my home town in The Netherlands to Munich in Southern Germany. 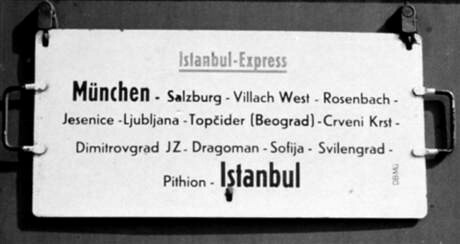 This nephew of the famous Orient Express took me from Munich to Istanbul via Austria, Yugoslavia and Bulgaria in two days. 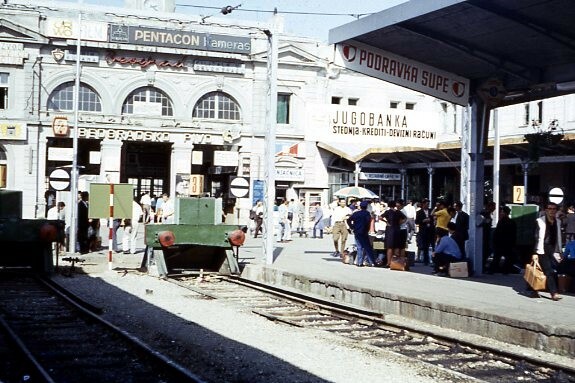 Belgrade terminal station, where the Istanbul Express had to reverse out of the station. The station of Pythion, a small village in Greece. 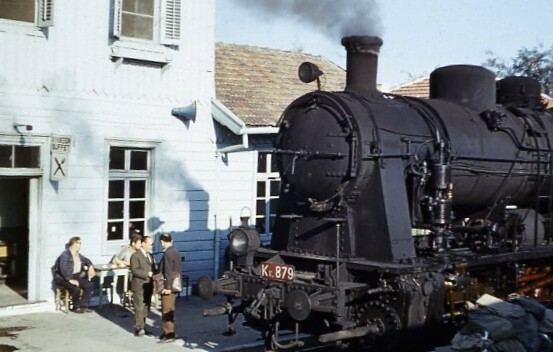 The railway track between the Bulgarian-Turkish border and Istanbul traversed a stretch of Greek territory, due to arrangements made in the aftermath of WWI. 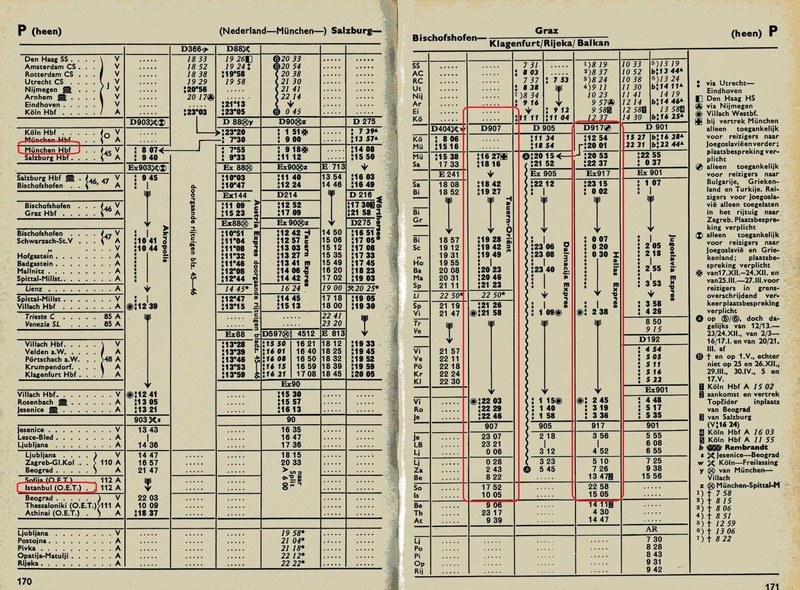 Pythion was - God knows why - a regular stop for international trains. 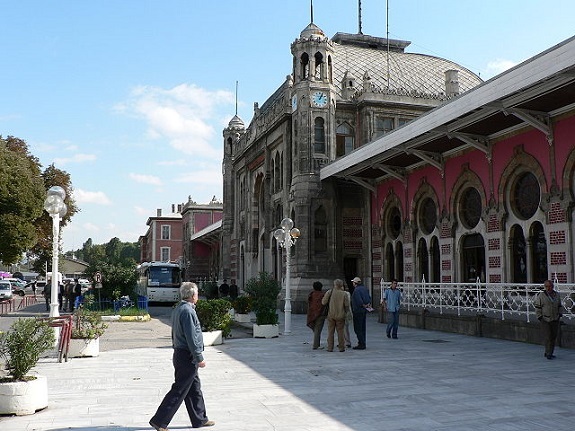 End of the line: Sirkeci railway station, Istanbul (Photograph: Wikimedia Commons).